New Jersey criminal defense attorney James S. Friedman represents defendants charged with insurance fraud in the state and federal courts of New Jersey and New York City. The Federal Bureau of Investigation and other federal agencies investigate insurance fraud on the federal level. Most states also have laws concerning insurance fraud, which are enforced by various state agencies. In New Jersey, the state agency that is primarily responsible for prosecuting these offenses is the Office of the Insurance Fraud Prosecutor, which was created in 1998. The Insurance Fraud Prosecutor is charged with investigating all types of insurance fraud and coordinating the anti-fraud activities of state and local investigating agencies and prosecutors. 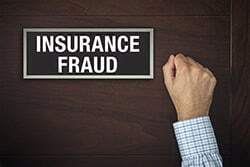 The Insurance Fraud Prosecutor also leads New Jersey’s Medicaid Fraud Control Unit, which attempts to recover money on behalf of the state through criminal and civil actions. Staged automobile accidents – These accidents are set up so as to allow the participants or their representatives to file injury claims. They can involve vehicles and pedestrians, or multiple vehicles. Arson – An individual is accused of setting fire to a vehicle or building so as to collect on an insurance policy. The defendant may be accused of setting the fire personally, or of hiring someone to do it. Wrongful billing practices - A professional (such as a doctor or pharmacist) is accused of engaging in fraudulent billing practices with an eye toward obtaining payments wrongfully from an insurance company or government agency. Some of the more common scenarios include doctors accused of billing for unperformed medical procedures, or overbilling for services rendered. This category can also include licensed therapists who bill for non-existent and/or incomplete counseling sessions. Any licensed professional charged with insurance fraud (including doctors, dentists, nurses, therapists, and chiropractors), needs to be very concerned about the impact that a conviction for this offense can have on their professional license, and their ability to earn a living. In recent years, the Office of the Insurance Fraud Prosecutor has worked to coordinate its activities with professional licensing boards in New Jersey. The Office provides the relevant board with advanced notice of the manner in which a case involving a licensed professional will be disposed of in court prior to the conclusion of the case. Collecting unemployment benefits while working - Under current law, persons convicted of wrongfully receiving more than $200 in benefits can be sentenced to 18 months in jail and fined $10,000. Persons convicted of wrongfully receiving over $500 in benefits can be sentenced to a jail term of 3 to 5 years and fined up to $15,000. Wrongful receipt of $75,000 or more in benefits is a second degree crime, punishable by 5 to 10 years in prison and a $150,000 fine. Criminal penalties and loss of a professional license are not the only possible sanctions facing defendants convicted of insurance fraud. Many insurance fraud offenses also carry stiff civil monetary penalties. Insurance fraud is a very serious offense. The State of New Jersey has invested considerable resources toward investigating and prosecuting defendants in these cases. The consequences are far-reaching, and can include jail time as well as substantial criminal and civil monetary penalties. Defendants with professional licenses can face suspension or revocation proceedings. If you have been charged with insurance fraud, you need a seasoned criminal defense attorney to mount an aggressive defense. If you are a licensed professional facing such charges, everything you have worked hard to build can be at stake. Reach out immediately for criminal attorney James S. Friedman to discuss your case and your defense.